I must admit I never watch TV so I do not see any commercials. When I am not traveling I am either writing for Painless Cooking or I am in the kitchen cooking. It was simply by fate that I decided to make a Greek yogurt recipe. Many of you have met my English mastiffs; Enoch and Malachi. We lost Malachi last year so everything is about Enoch now. A short time ago, our “9 year old puppy” had us to his doctor’s office. It was suggested that we give Enoch a little GOOD yogurt with his meals for a while. Knowing we were getting low on yogurt, I suggested to Kelly (My daughter, site tech, cook, dishwasher, and etc.-etc.) that we should stop by the grocery and pick more up. Kelly quickly ran into the store and grabbed some yogurt. When I opened this brand at home I was surprised at the thickness and creaminess. I tasted it and found it was so good that I decided to learn how to make a Greek yogurt recipe. After Kelly tasted it, we decided this was the one for us. For many recipes the yogurt has to be drained for hours when it is too runny; this will save us a lot of time. If you have tried Greek yogurt, let me know what you think about it. The first recipe that comes to my mind when I have yogurt in my refrigerator is Tzatziki sauce. I love the flavor of this Greek cucumber sauce recipe. This sauce is what makes the gyro sandwich so delicious. 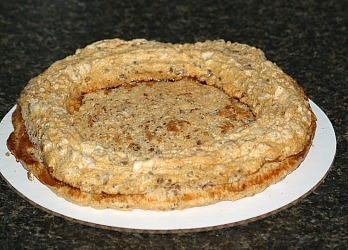 It is also good served with lamb, meatballs and all kinds of recipes or it is good spread on pieces of pita bread. I love this stuff! When I learned how to make this Greek yogurt recipe, I would spread it on tortillas to make these turkey pinwheels appetizers. I mix salsa with more of the Tzatzitki sauce for an “added bonus” when serving. NOTE: Some yogurt brands contain a lot of liquid. If this is the kind you have be sure to drain it for several hours before using. To do this cover a colander with cheesecloth and place yogurt in the cheesecloth; set in refrigerator overnight preferable. I did not have to drain the mine for this Greek yogurt recipe. After grating the cucumber drain off all the liquid. Combine and mix all ingredients with the grated cucumber. Blend well; cover and refrigerate until ready to use. Spread one side of each tortilla with Tzatziki sauce. 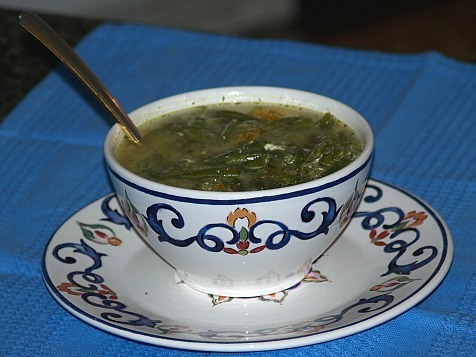 Lay spinach leaves over the sauce; place 2 to 3 slices of turkey over the spinach. Sprinkle grated cheese over the turkey. Roll up “jelly roll style” into a tight tube shape. Cut roll into 1 inch slices; push toothpick in each to hold together. If desired top each toothpick with a stuffed olive. 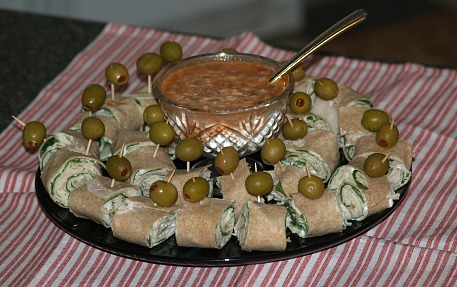 Mix 1 cup of salsa with 1 cup of Tzatziki to serve with pinwheels. NOTE FOR ADDING YOGURT INTO HOT MIXTURES: When making a Greek yogurt recipe never add the yogurt to boiling mixtures; if too hot the yogurt will curdle. If you are cooking on a higher heat temperature, remove it from the heat and cool down some. ALWAYS remove the mixture from the heat before stirring in for any Greek yogurt recipe. This soup is hearty and very filling. 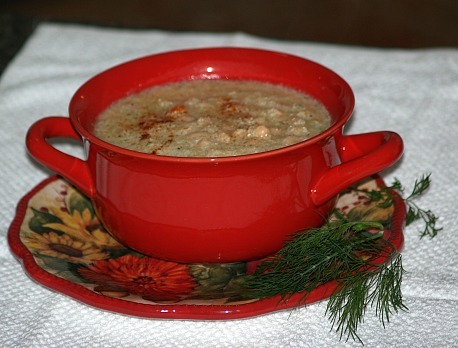 I have used navy beans in the recipe because they are more alkaline than most other beans. I soak them overnight because they take less time to cook so I can cook them right along with the cabbage. By shredding the cabbage, it cooks up to a thick soup rather than getting large chunks in your bowl. 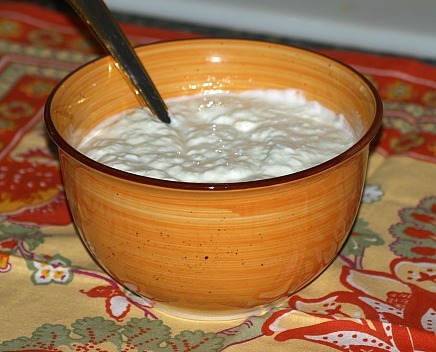 By making this Greek yogurt recipe, it is a very thick deliciously flavored soup. In a medium saucepan combine soaked beans, shredded cabbage, carrot, salt and water. Bring mixture to a boil, reduce heat, cover and simmer until beans are tender 2 to 3 hours. NOTE: Add more water if needed. When beans are tender remove pot from heat; stir in lemon juice, yogurt and dill. Check seasoning and add more salt and pepper if desired; serve immediately. Spoon into bowls; garnish with paprika and fresh dill. This Greek yogurt recipe is a “new twist” on green beans. It is a hot and hardy soup especially on a cold day. By Adding vegetables and the yogurt it gives this recipe great flavor. Combine green beans, onion, bell peppers, celery and parsley in medium saucepan. Add red pepper flakes if desired. Bring mixture to a boil, reduce heat and cook until beans are tender about 1 hour. NOTE: Add more water if necessary; should have about 6 cups of liquid. Stir in a couple of the bouillon cubes and check flavor; add more if you desire. Remove from the heat and stir in the yogurt; serve this Greek yogurt recipe immediately. This Greek yogurt recipe makes a large casserole to feed your family. I used a package of noodles made from a blend of flour and only egg whites instead of the yolks. Also for healthier choice I used low fat Cheddar cheese. 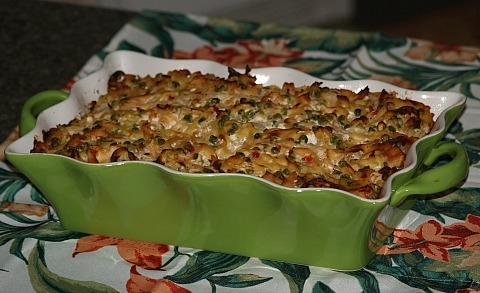 Preheat oven to 375F degrees; oil spray a large casserole baking dish. Drain cooked noodles and dump into a large bowl; add olive oil and toss. 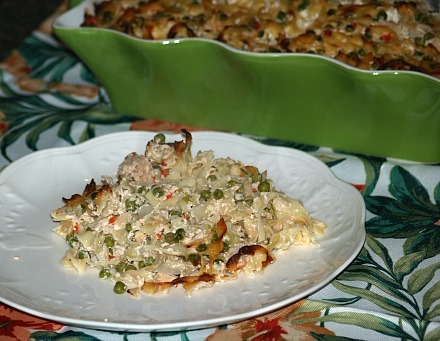 Stir in onion, celery, peas and pimientos; stir in yogurt and cheese. Check seasoning; add more salt and pepper if needed. Spoon mixture into oiled casserole baking dish. Bake about 40 minutes or until hot and bubbly. This Greek yogurt recipe is much more than a simple beef pie. 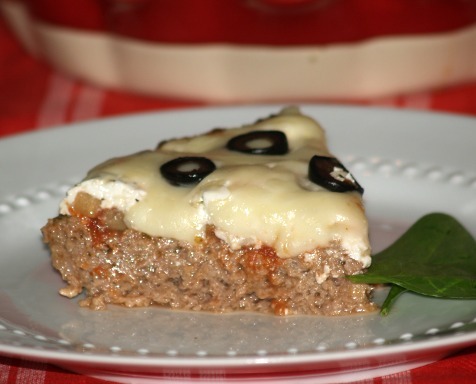 The beef mixture serves as a flavorful crust in this recipe. With the addition of yogurt, flavorful spices, vegetables and cheese, it is like eating a great pizza. 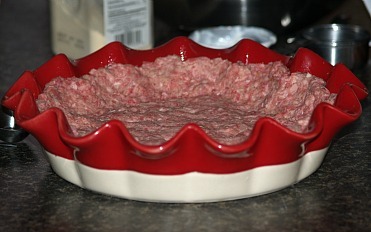 Combine all the crust ingredients and blend well; press into a lightly greased deep dish pie plate. Spread tomato sauce over the beef mixture; sprinkle oregano and onion powder over the top. 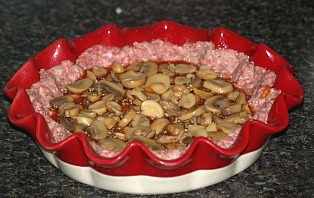 Place a layer of sliced mushrooms over the sauce and spices. Mix yogurt, garlic powder, basil and Parmesan cheese together; spread over the mushrooms. 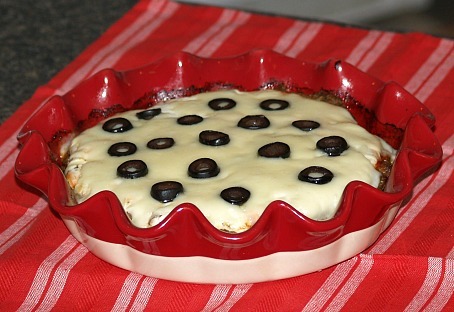 Sprinkle top with grated Mozzarella cheese and sliced olives; return to oven until cheese melts. 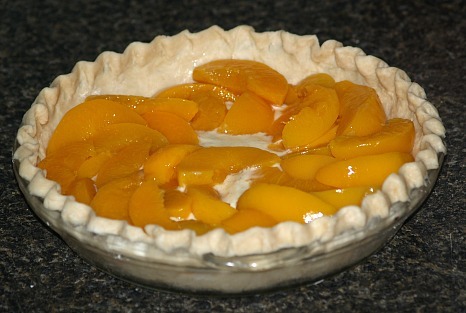 This Greek yogurt recipe is a delicious peach pie recipe. The blend of nutmeg, lemon and ginger in the yogurt is a great addition to the peaches. Lightly grease bottom of a pie plate (not sides). Combine flour and salt; cut in shortening until well blended. Add 1 tablespoon of water at a time stirring with a fork until soft dough forms. Roll dough out on a lightly floured surface a little large that pie plate. 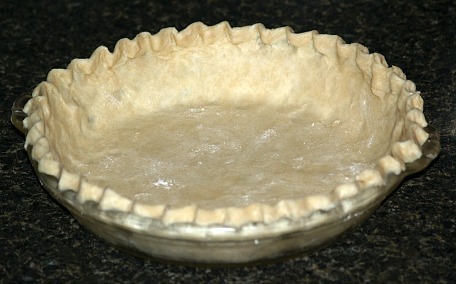 Fold circle of dough in half and lift onto pie plate; press dough into plate and crimp around the edges. Combine in a mixing bowl the eggs and sugar; beat until well blended. Add the yogurt, lemon peel, nutmeg, ginger and salt; mix until blended. 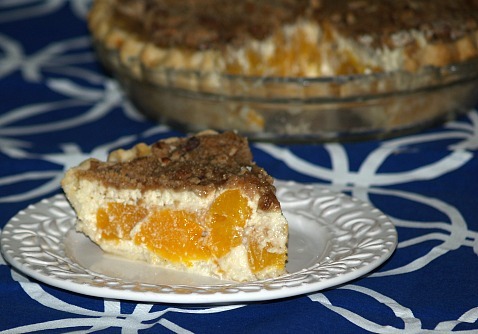 Spread 1 cup of yogurt mixture in bottom of pie shell. Layer all the drained peaches over the yogurt. Top peaches with remaining yogurt mixture; bake for 25 minutes. 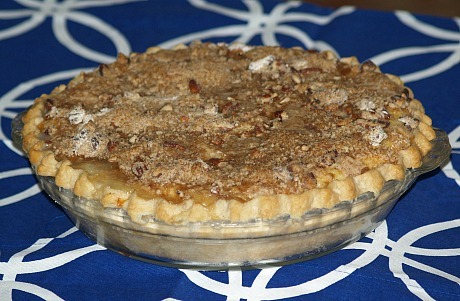 Combine the topping recipe below; sprinkle over the pie. Return to oven and bake another 15 to 20 minutes or until crumb mixture browns lightly. Combine flour, brown sugar and cinnamon; cut in cold butter. Stir in chopped pecans; sprinkle mixture over the pie. NOTE: Pie must be refrigerated. This Greek yogurt recipes is a luscious dessert made with FRENCH meringues, filled with SPANISH cream, and topped with AMERICAN fruit. 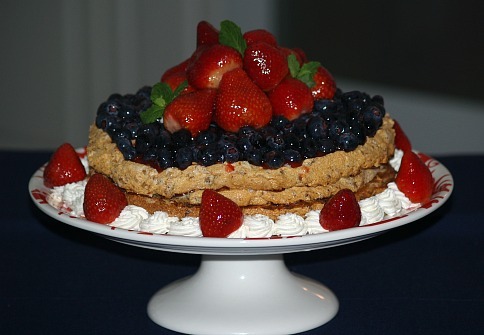 What a combination and a heavenly dessert! NOTE: Do not use “sugar substitute” in this recipe. The egg whites need the sugar for volume and stability. 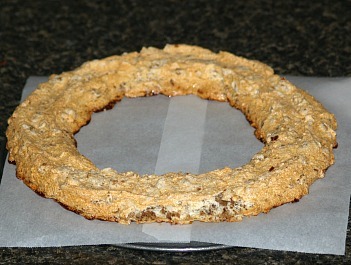 Draw 9 inch circles on three pieces of parchment paper; lay aside. SEE MY VIDEO. Combine in a bowl GROUND walnuts, 1 cup sugar and cornstarch; blend and set aside. Beat egg whites until soft peaks form; gradually add in ½ cup of sugar while beating. Beat whites and sugar until stiff peaks form. Spoon meringue around inside of TWO circles forming rings. NOTE: Make rings as even as possible; 2 rings will stack on top of base. Spoon remaining meringue on THIRD circle forming a solid base for the dessert. 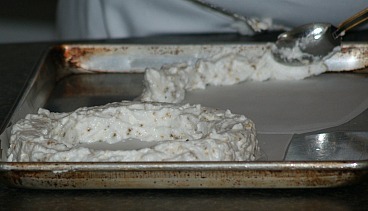 Place meringue base and rings in oven; bake for 60 minutes or until golden brown. Remove from oven and let set until cold and dry; DO NOT COVER. 1. 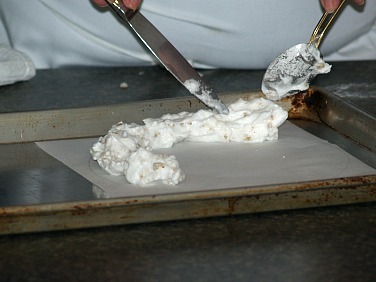 Low humidity is best for making meringues; I will adjust the heat or air to achieve the best conditions in the kitchen. 2. When separating the egg whites from the yolks do not let any yolk get in the whites; this will prevent the whites from whipping up. 3. Separate the eggs while cold; room temperature whites will whip better. Place 1 cup of yogurt and sugar in top of double boiler and stir until yogurt melts; REMOVE FROM HEAT. Continue to stir mixture until sugar dissolves; let set over water until ready to use. Soak gelatin in the cold water for 5 minutes; stir gelatin mixture into yogurt sugar mixture. With a whisk blend into warm mixture other cup of yogurt, vanilla, almond and lemon rind. Blend mixture until smooth; refrigerate until mixture begins to set up. NOTE: Watch mixture in refrigerator so it doesn’t firm up too much; it will not take long 30 to 40 min. 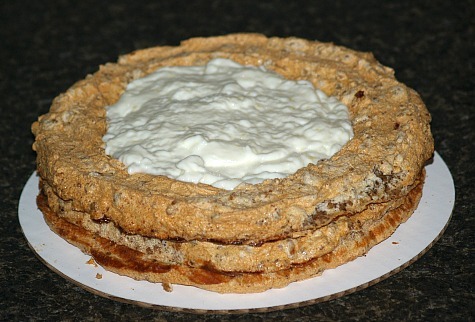 TO ASSEMBLE: Place solid base of meringue on cake plate; stack two meringue rings on top of base. 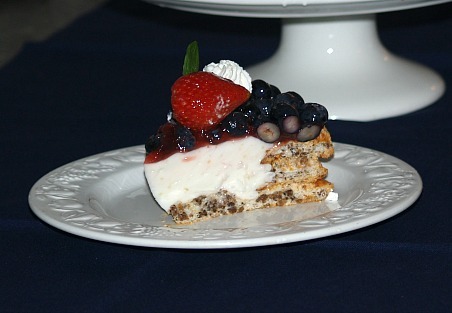 After Yogurt cream begins to set, spoon it into the meringues, smooth top and place in refrigerator to finish firming. Prepare gelatin for fruit and place fruit on top of dessert. GLAZE FOR FRUIT This Greek yogurt recipe is finished with a delicious fruit glaze. 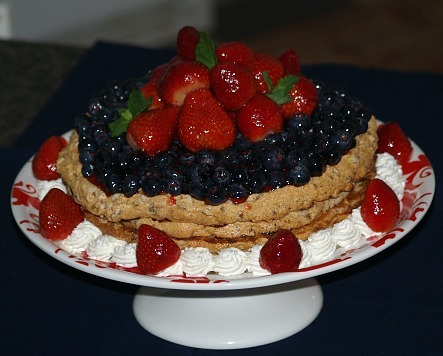 (I doubled the recipe because I wanted to use double the fruit also). Bring sugar, water and cornstarch JUST to a boil. Quickly stir in gelatin and salt. Toss with a fork all fruit in gelatin mix. NOTE: I use a fork to lift fruit out of gelatin letting the gelatin drip off. NOTE: Dessert must be refrigerated.